Motorists considering buying a car which will help them save money at the pump - as well as cut their carbon footprint - may find Ford has the answer. According to the manufacturer, its ECOnetic range is fitted with a system which encourages people to adopt a more fuel-efficient driving style. The gear-shift indicator - which is located in the instrument cluster - advises drivers of the best possible moment to change gears. As a result, motorists using the system - which is available in the ECOnetic Fiesta, Focus and Mondeo - tend to move through the gears more quickly. Ford explained this reduces fuel consumption, as it avoids unnecessary high engine speed. 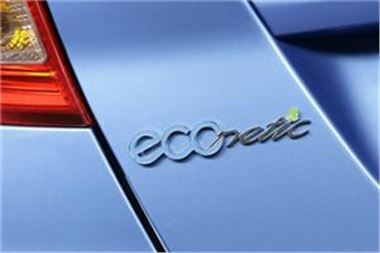 The manufacturer also claimed it cuts CO2 emissions and reduces wear and tear on transmission and engine components. Ford spokesman Tim Winstanley commented: "The indicator provides drivers with a helpful aid to using less fuel and encourages a smoother driving style." In other motoring news, the carmaker recently announced the new Focus RS - due to arrive in showrooms up and down the UK in March - would cost from £24,995.